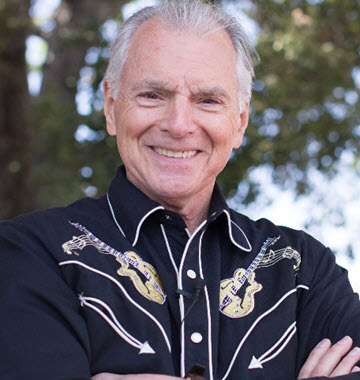 Jim Cathcart is the bestselling author of Relationship Selling and 18 other books, and he’s been inducted into the Sales & Marketing Hall of Fame in London. He was also listed in the Top 100 Sales Influencers in 2017 by Tenfold and It’s been noted that he is the most award-winning professional speaker alive today. [01.00] Jim defines Social Selling – It’s just simply selling…selling is a helping profession. [02.45] Why haven’t some companies embraced social selling – It’s a mindset issue, Jim suggests that it was the same when the telephone came around. We have more communication tools available today than we have ever had. Jim suggests that with the rise of social selling we have added responsibility to think of your social presence in the world that you manage intentionally and intelligently. [04.18] Which social media platforms should a modern sales professional be active in – It depends…on where your audience is. Know your customers PMOC, preferred mode of communication. [06.15] Are there any tools that you recommend as part of a successful social selling strategy – Jim suggests that images rule!! Keep your ‘I Content Low’ and your ‘You Content very high’, Lead with their need if you want to succeed. [08.43] Jim shares his top three social selling do’s and don’ts – Do’s – Participate in social media every single day, be intentional about everything that you do, do realize that your image in the world depends on your behaviours. (By their habits you shall know them). Be intentional and intelligent about your activity. Don’ts – Don’t ever let politics, religion or philosophy interrupt your activity, don’t associate with people who go in the wrong direction (negative people), don’t stand under the cloud with them, Don’t ever pass up an opportunity to offer praise and or gratitude. [12.26] Jim shares his favourite social selling story – Jim shares a couple of stories about meeting people in real life who follow him virtually or who have watched his TED Talk and how that makes him feel. [14.02] What advice would you give to a CEO who hasn’t leaped using social selling – Jim suggests that they should come toward the light, because they are in the dark and they don’t realize it. Young China by Zak Dychtwaldt. An excellent exploration of the 400 millions millennials now in China who will soon be reshaping their world. I am inspired by love; parent/child, father/son, person/person. When I see someone make time to touch another life in a meaningful way it motivates me and touches me. I also love to see people move forward on faith despite their fears and doubts. What aspect of your own Social Selling program are you most focused on improving at the moment? I’m using Facebook as my primary news medium for reaching my followers, and LinkedIn as well. I run mountain trails 3 days a week with a group of friends, play guitar and sing professionally anywhere and everywhere, ride my motorcycle on the twistiest roads I can find, and go to movies whenever I can. I’m also very interested in practical philosophy: understanding what makes the world work and how to understand things at their core. How can our listeners contact with you? Easy, go to my name online: Jim Cathcart. Cathcart.com is my website, Jim Cathcart is my YouTube name, Facebook name and Twitter handle.